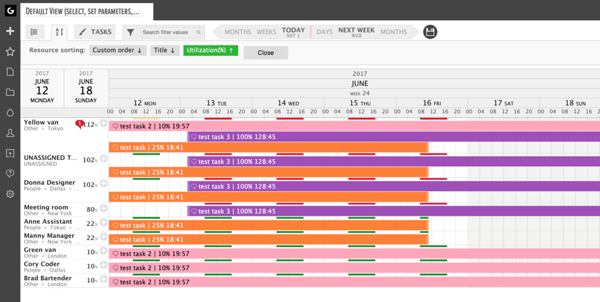 If Ganttic is your tool of choice for resource scheduling, you already know that we are always trying to improve the software. But for a pretty long time there hasn’t been any updates. The suspense is rising. We hope you are not getting too comfortable since we can promise you it’s nothing but a calm before a storm. You can guess what the storm will be about. It’s something we have previously tinkered with. If you use Ganttic, you definitely have had contact with it. There’s just no way around it. Is the “NEW” button making a comeback? Nope. You are guessing it has something to do with Gantt charts? Nope. Resources? Well… a bit but it’s not quite it. Long story short, it’s basically everything but the Gantt charts. Imagine it’s a Friday night. You and your workmates go out to your favorite bar. Or maybe it’s not your favorite but it’s the bar that you guys like to go. Perhaps it’s the fact that they serve that whiskey you like, perhaps it’s the barman that can always make you feel as if you were the best clients ever. It doesn’t even matter because once again, you guys are there. You step in. You look straight ahead where the bar used to be. Used to. It’s not there anymore. Everything looks different. You are not sure how you feel about it. The bar is shifted to the left side of the room. You ask yourself why would anybody do this. Then, in the corner of your eye, you see the barman. And all of a sudden you realize how much more sense it makes to have the bar on the left side of the room. There’s no reason to explain it. It just does. You understand that even if was the other way for a while, you’ll get used to it, and it will be better. That’s exactly how you should feel about the new sidebar of your resource planning tool of choice. You might not love it at first but you will in a second. Because it just makes sense. If you click on our logo, the sidebar will open. You’ll see that you can open different lists (views, reports, projects, and resources) or just quickly add a new whatever you need to add from the “+” icon. Actually, you don’t really need to open up the sidebar to get the same functionality. You click on an icon. A list will open up. If you click on the “+” symbol on the closed sidebar, “+” symbols will appear next to the list symbols, and you can add a new view, report, project, or a resource right there. It’s still the same easy-to-use Ganttic. It just looks a bit better. Don’t you agree? We have always thought that resource planning with Ganttic should be as simple as possible and we haven’t changed our minds about that. Although, since you guys have been subtly (and not so subtly, hehe) hinting us that our planning software’s interface is a bit clunky, we thought it's time to change it a bit. 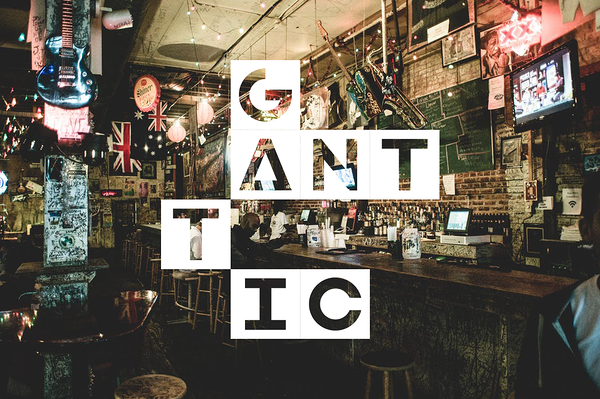 Actually, the new Ganttic looks a lot more than a bit different from what it used to look like. But it’s not only that. There’s some new functionality that’s coming with the updated interface, too. Starting from the way you can manage your resources and ending with the promise that there’s a lot of good stuff on the way that the new interface is supporting. Ganttic is all about scheduling resources. If you have more than ten resources, you need a resource planning tool that is armed with many possible ways to sort them. So far, the filtering options have been pretty decent... But we wanted to give you more than decent. That’s why you can manage your resources in a list now. Just like projects, views, and reports. The resource list gives you the ability to reorder your resources (the order that they are displayed in the Gantt chart area); delete or archive multiple resources at once. Of course, you can also view the active and archived resources separately. Yup, the fact that the manual resource ordering function moved to the resource list, means that you can’t reorder your resources in the Gantt chart area anymore. What you still can do in the Gantt chart area, is sorting your resources by the custom order you have created, alphabetically or as a new feature by the utilization percentage. If you are trying to keep your resources utilization on an optimal level, you already know how useful it’s going to be if you can sort them by utilization. Even better, you can filter out the resources with the same skillset and then sort them by utilization. A real time saver, isn’t it? After you are done playing around with the new options, you can easily restore all view settings by clicking on the floppy disk next to the view parameters and selecting "Restore default". So... What are your first thoughts? Do you like the new interface? If you have any troubles, questions, or you want to praise us, make sure to contact our Support.